1. A complete distribution of all your assets. This sounds simple enough, but you would be surprised at how often this doesn’t happen, especially for those people utilizing the “do-it-yourself” method of Will writing. Make sure that your Will provides a “Residuary” or “Rest and Remainder” clause that make a distribution of all your remaining assets after any specific bequests are made. A failure to have this clause will result (in most states) in a portion of your estate passing by intestacy. 2. Make sure you have contingent beneficiaries named. What if you created a Will and no one was around to accept the benefits? For example, let’s say Joe is unmarried. Joe has a Last Will that provides “I leave all of my residuary estate in equal shares to my sister Betty, my brother Bill, and my brother Bob.” The Will makes no other provisions for distributions. Bill predeceases Joe, leaving two children who survive him, Tom and Sally, neither of whom liked Uncle Joe. Joe would have never wanted Tom and Sally to receive Bill’s share, but since there is no provision in the Will for what would happen in the event Bill predeceased Joe, the share passing to Bill would now pass under the intestacy laws of the state where he resided at his death. The likelihood is that some portion of that share will indeed pass to Tom and Sally. Make sure you spell what happens if someone named in your Will predeceases you. Does it go to that person’s spouse, or to his descendants, or to some other person or persons? Don’t assume everyone you name in your Will is going to survive you. 3. Have you named executors, trustees and guardians (and successors to them)? Again, a simple matter, but one that stumps some people–not because they failed to name the initial executor, but because they failed to name a backup to the first executor. Just recently I had to deal with a Will where the Decedent named his wife as his executor, but not anyone to succeed her if she failed to serve. Sure enough, she died seven months after he did, and because of complications with several beneficiaries named in the Will it took almost two months to get the probate court to name a successor. My rule of thumb is to always name the initial person, followed by no less than two (and preferably three) successors. This is particularly important for guardians for your minor children, where many times the initial appointees may decline to serve because they don’t feel like they can handle the burden of additional children in their household. Don’t take a chance on the court appointing someone you might not agree with in a fiduciary role for your estate or as a guardian for your children. Have a solid line of succession and make sure you go back every so often to double-check it. 4. Waive the bond for your named appointees, and also make sure they have all the necessary powers they need. 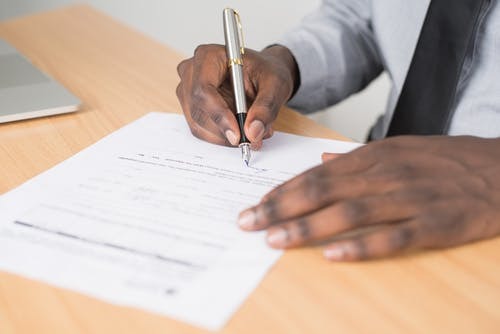 If you don’t waive the bond for the named executor, trustee or guardian you name in your Last Will, the court can require the named person post a bond equal to or exceeding the size of the liquid assets of the estate. This might be prohibitive in some instances and the named person may not be able to qualify for the bond. A simple clause waiving the bond for any person named to a fiduciary capacity in your Will eliminates that concern. In addition, make sure that you are giving the executor and trustees all the powers they need to administer the estate or the trust without court interference. In Texas, for example, if you name the executor an “independent” executor, they can serve without court supervision. Other states may have similiar provisions for limited court oversight of the estate administration process. Also, give them the power to do anything they need to do regarding estate assets, such as the ability to sell real property. Believe it or not, in Texas, if you don’t give the executor that power, he cannot sell real property without first attaining court approval of the sale (even where he is an independent executor)! Wills can be extremely complicated documents, which is why lay persons typically make mistakes when trying to draft them as a way of saving money. The result is that it usually costs more in legal fees to fix the problems created by the poor drafting than if the person had just paid a qualified attorney to draft a proper to begin with. Don’t be penny wise and pound foolish when it comes to something as important as your estate. Make sure that the 4 things that must be in a Texas Will are included in your Will.